Lexington Emergency Management maintains constant awareness of threats that could affect Fayette County residents. This monitoring ranges from maintaining contact with the local National Weather Service office in Louisville to working with local, state, regional and federal public safety representatives during special events. This awareness also extends through the entire ten-county CSEPP area, with several systems in place to alert the public in case of an accident at the Blue Grass Army Depot involving chemical weapons. Should emergency conditions happen, Lexington Emergency Management has several systems in place to alert and warn residents of the threat and communicate instructions to keep residents safe. 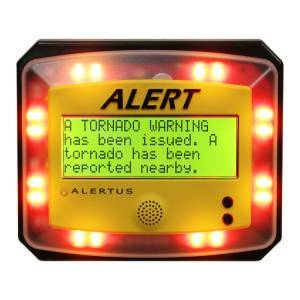 The LEXALERTS system gives residents the ability to sign up for a variety of alerts and warnings. These range from status alerts for the Valley View Ferry to severe weather and community emergency alerts. Residents can register online and then select how they want to receive alerts. A person can choose to get alerts sent to a mobile phone via text, email or voice message. Residents can also list a residential and/or business phone number for alerts. Sign up for LEXALERTS. For deaf and hearing impaired residents, Lexington Emergency Management provides the DEAFLINK-AHAS alert service. After registering through the BeReadyLexington website, residents will receive video messages that describe the warning via American Sign Language (ASL). The DEAFLINK-AHAS service also connects with assistive messaging devices to provide alerts for persons with disabilities. Sign up for DEAFLINK. There are 30 warning sirens located in Lexington parks and golf courses with the addition of two new sirens in Lexington’s rural areas. 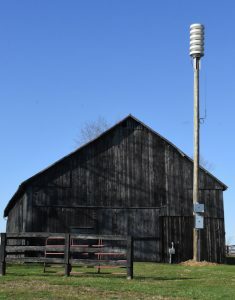 The new sirens were installed at the Raven Run Nature Sanctuary on Fayette County’s far southeast side and Hisle Park on the east side of the county off Briar Hill Road. More about the siren network. It’s important to remember that these sirens are designed to alert people who are outdoors in the parks or golf courses. These sirens are not designed to warn persons indoors. For smartphone, tablet and mobile device users, the BeReadyLexington app provides the user with current severe weather information and emergency news. There’s a planning section that helps you put together an emergency plan and make a checklist for your emergency kit. The Be Ready Lexington app also has listings of important phone numbers, addresses and websites that are good to know in case of an emergency. These bright yellow devices are located in public buildings, schools and other facilities and are triggered by the National Weather Service in case of a severe weather alert. The beacons can also transmit warning and alerts about community emergencies. Lexington Emergency Management has the ability to send messages to local radio, television and cable systems via the national Emergency Alert System (EAS). These are typically severe weather warnings, although any significant emergency alert or warning can be sent through the EAS system. 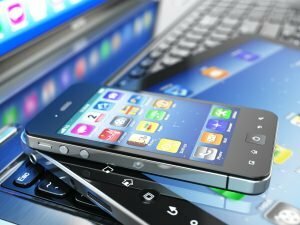 The Wireless Emergency Alert system (WEA) enables Lexington Emergency Management to send emergency and public safety messages directly to cell phones and other mobile devices. WEA lets public safety officials target emergency alerts to specific geographic areas. Lexington Emergency Management is authorized to the use the FEMA Integrated Public Alert and Warning System (IPAWS) to participating wireless carriers, which then transmit the alerts in the designated area. Lexington Emergency Management supervises and programs content for this radio service. Broadcasting at 1620AM, the stations operate 24 hours a day, 7 days a week. Regular programming includes tourism, highway and emergency preparedness information. Emergency programming can include weather alerts, shelter-in-place, evacuation, response and recovery information. The audio programming is also available to mobile devices and desktop/laptop computers via the TuneIn network. Lexington Emergency Management will publish the latest information about emergencies and disasters through its website – BeReadyLexington.com and its social media pages: Facebook~@LexingtonKYEM and Twitter and Instagram @Lexkyem. Lexington Emergency Management works with local and state amateur radio (ham radio) operators. Should conventional communications networks become overwhelmed or fail, the amateur radio operators are capable of providing point-to-point communications for emergency management response activities. 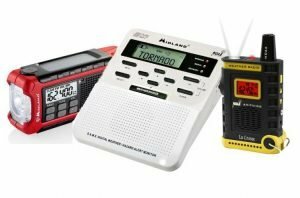 With the proper radio equipment, anyone can monitor these radio transmissions. In order to transmit on this system, you’ll need an FCC license. Amateur radio clubs and organizations in central Kentucky occasionally have classes on how to become licensed as an amateur radio operator. Lexington Emergency Management provides information directly to local radio stations, television stations and websites. Those are good sources of information about wider ranging emergencies and disasters. It’s important to remember that Lexington Emergency Management will publish information to its website, social media, radio station and other resources at the same time it releases the information to local media.